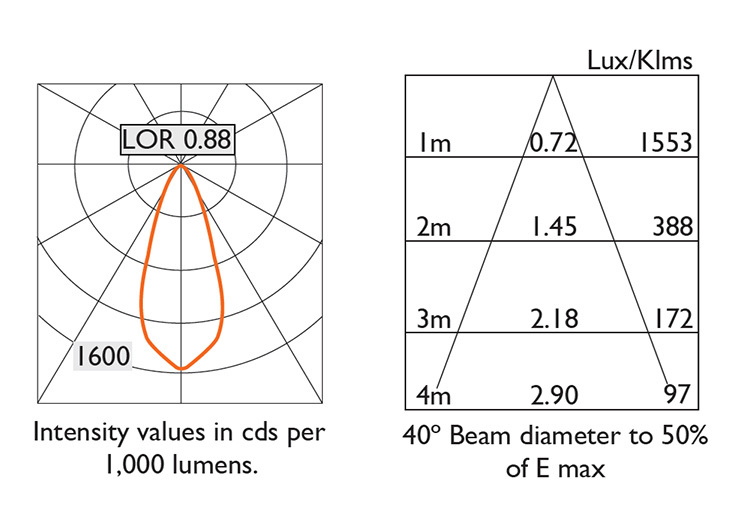 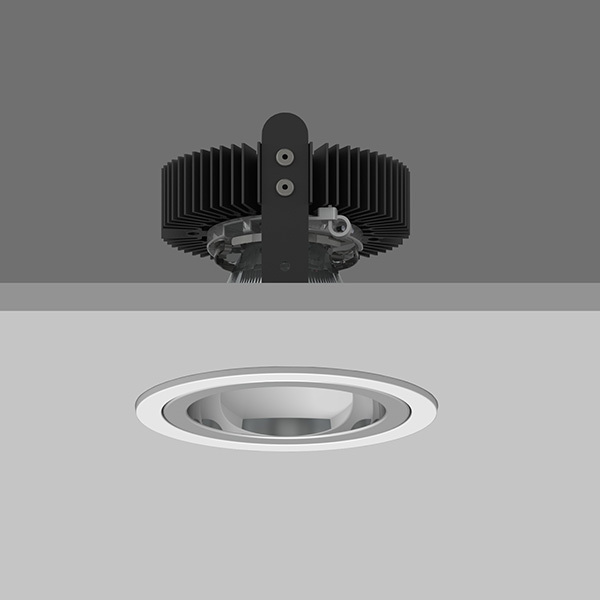 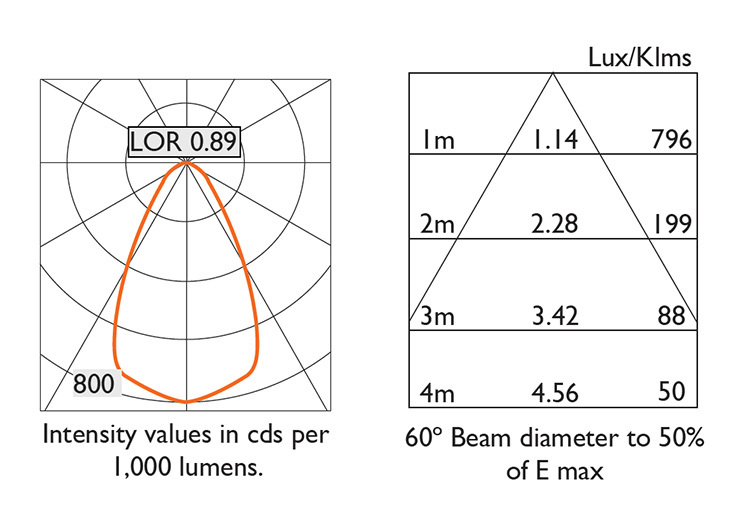 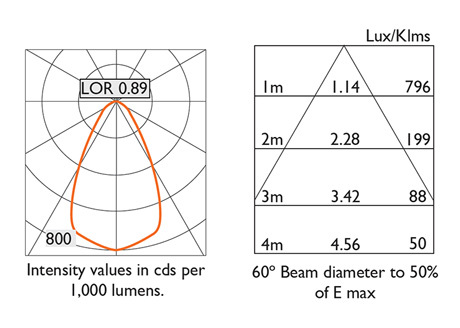 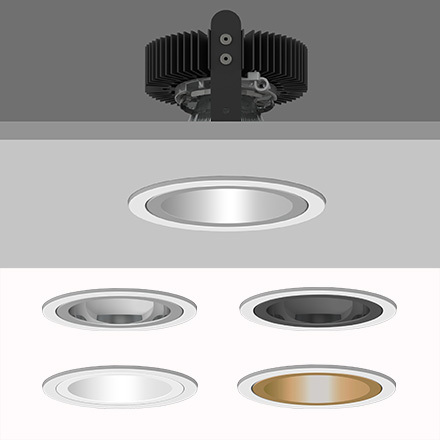 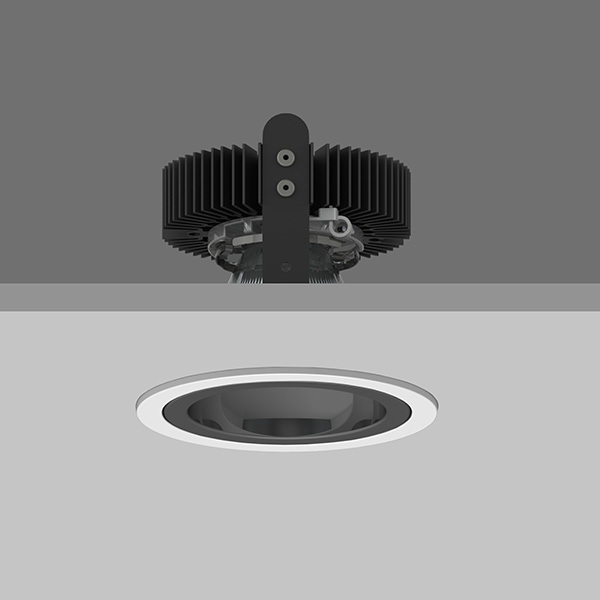 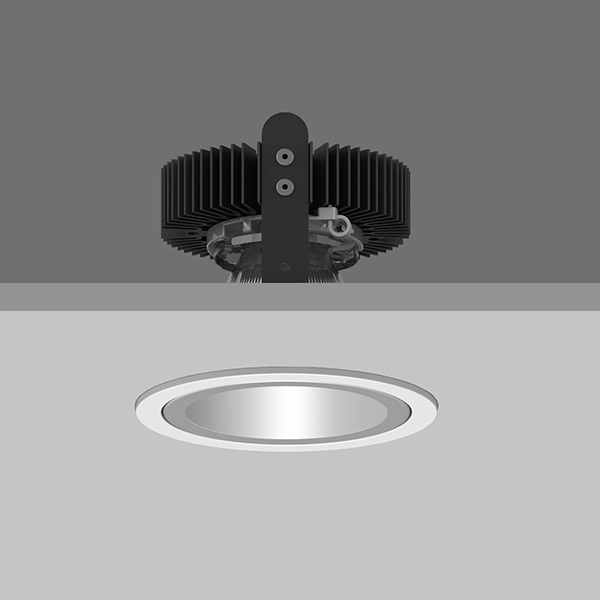 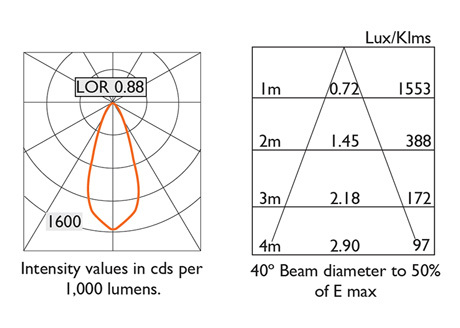 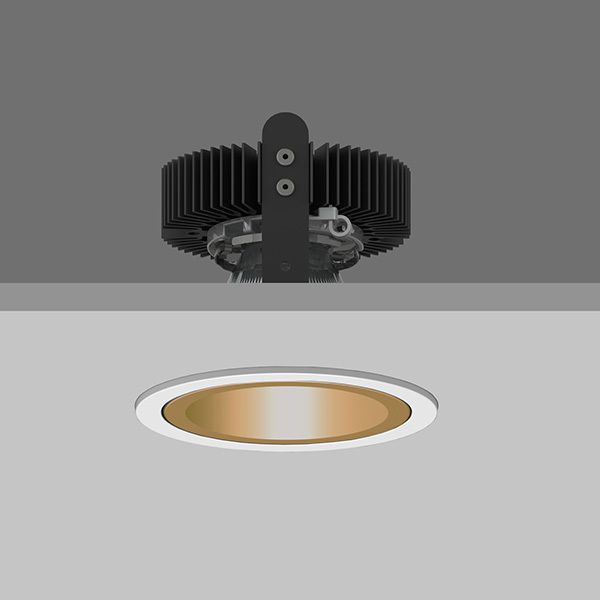 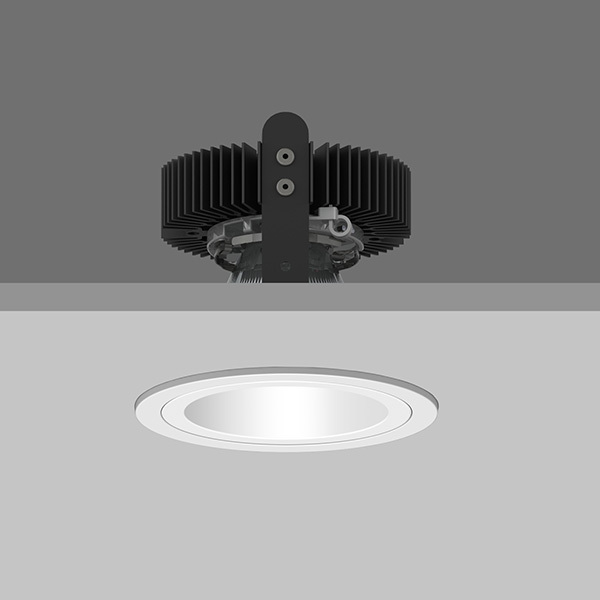 AMBIANCE X100 FIXED Round recessed downlighter with standard white ceiling trim and a choice of deep cone reflector finish and beam distribution. 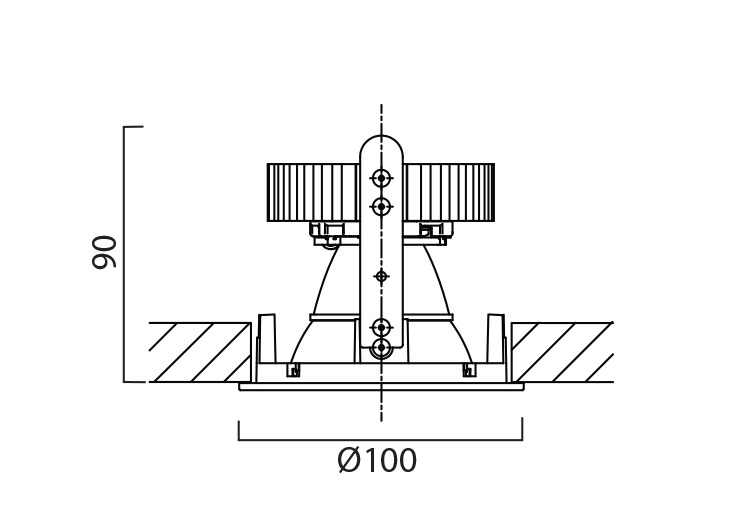 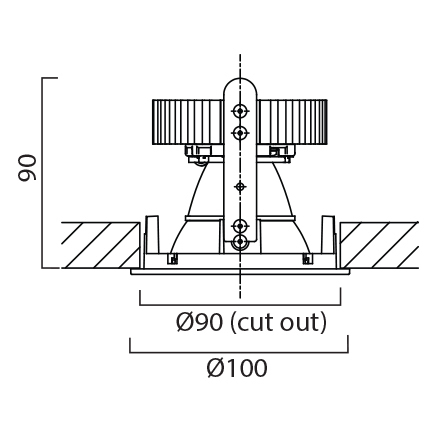 Overall diameter 100mm, cut out 90mm diamter. 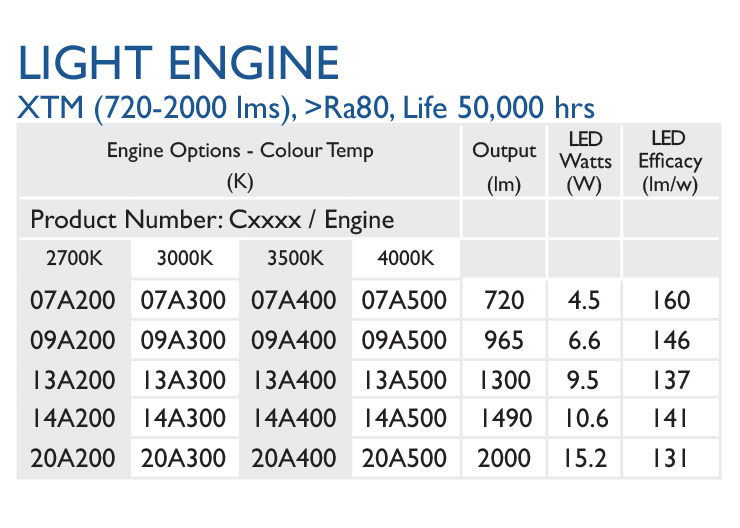 Xicato LED.